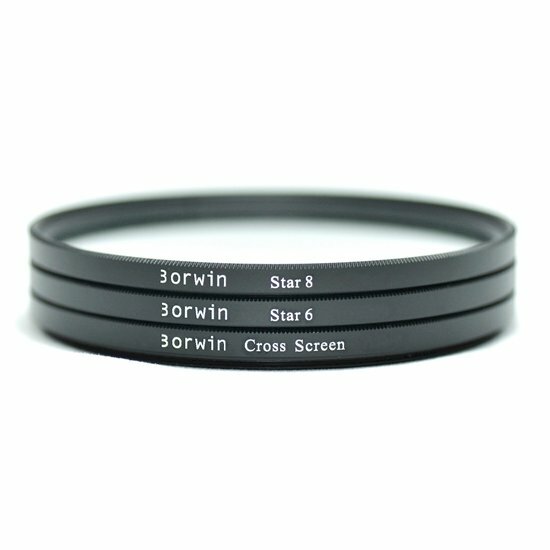 Borwin star filter creates a star pattern, in which lines radiate outward from bright objects. The star pattern is generated by a very fine diffraction grating embedded in the filter. The number of stars varies by the construction of the filter, as does the number of points each star has. Star filters are ideal for photographing highly reflective surfaces such as water, glass or metal and are also brilliant for night scenes or festive lighting. Star filter gives your image an instant lift. To find out your lens' filter size, look out for marking (On your lens or lens cap) like ⌀52, which means the filter size is 52mm.